향약은 착한 것을 권장하고 악한 것을 경계하며 어렵고 구차한 때에 서로 돕고 구하기를 목적으로 하여 마련된 향촌의 자치규약이다. 이 문헌은 임진왜란을 전후한 선조년간에 시작하여 1977년 최근에 이르기까지 약 400여년 동안 전라도 태인현 고현동에서 결성하고, 시행한 향약에 관한 자료이다. 원본을 보고 옮겨쓴 것으로 총 29책인데, 명칭은 다소 다르기는 하나 내용이 향약자료로 분류되는 문헌이 24책이며, 나머지 5책은 향약 관련자료들이다. 책의 형태와 체제는 각각 약간씩 다른데 머리말과 맺음말 그리고 좌목(座目:자리의 차례를 적은 목록)과 규약 등이 갖추어진 책도 있고, 단순히 좌목만 있는 책도 있다. 이 향약은 정극인(1401∼1481)의 『향음서』를 기준으로 하며, 성종 6년(1475)이 그 시행시초가 된다. 이 향약안들은 그 중간중간 빠진 본들이 많으며, 또한 구한말 이후의 것도 6책이나 포함되어 있다. 현재 이 문헌은 영광 정씨, 여산 송씨, 경주 정씨, 청도 김씨, 도강 김씨 등 최초 회원 오대문중의 자손들이 돌아가며 총무격인 유사를 뽑아 보존· 관리하고 있다. 현존하는 향약 문헌으로 양적으로나, 내용면에 있어 가장 많고 충실하며 향약 연구에 귀중한 자료이다. Hyangyak is the autonomous village code prepared to promote good things, guard against evil things, and help each other during difficult times. 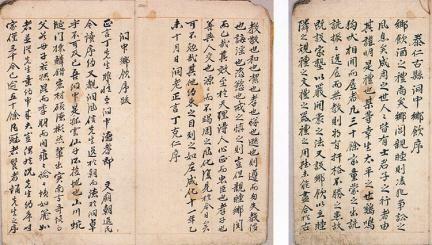 It is a material about Hyangyak, which was organized and implemented in Gohyeon-dong, Taein-hyeon, Jeolla-do, for almost 400 years from King Seonjo's reign to as recent as 1977. 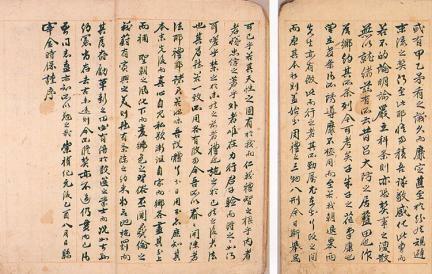 As a handwritten copy of the original manuscript, it consists of a total of 29 books. 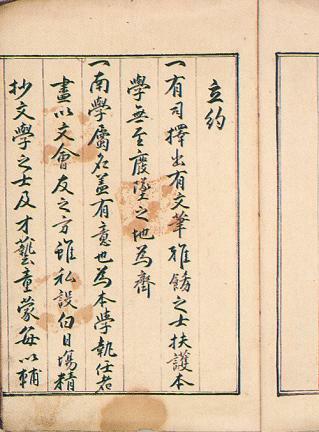 Even though each book has a different title, 24 books can be classified as Hyangyak materials; the remaining five books are materials related to Hyangyak. The form and structure of each book are slightly different: some books have prologue, epilogue, table of contents, and regulations, whereas other books have a table of contents only. 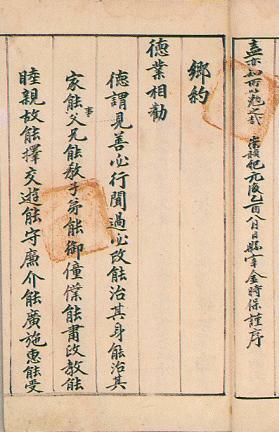 This Hyangyak set Jeong Geuk-in (1401-1481)'s Hyangeumseo as the standard, and it was implemented in the 6th year of King Seongjong’s reign (1475). Many items are omitted here and there in this Hyangyak. 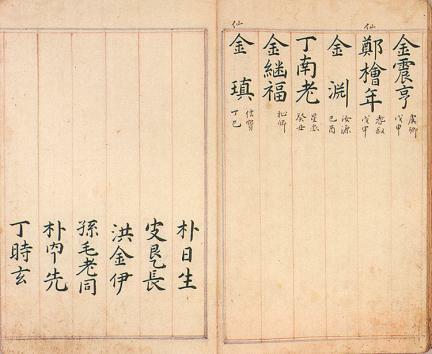 In addition, six books published since the late Korean Empire were included. 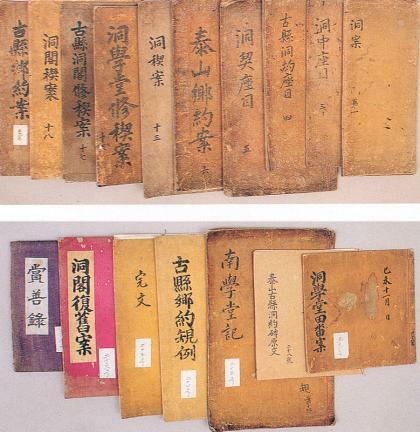 At present, these books are being preserved and managed in turn by descendants of the five initial member clans (Yeonggwang Jeong’s Clan, Yeosan Song’s Clan, Gyeongju Jeong’s Clan, Cheongdo Kim’s Clan, and Dogang Kim’s Clan). 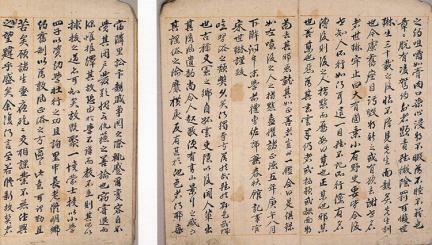 They are considered valuable materials in studying Hyangyak in terms of contents and quantity.